Hand Crafted Pendant by me! 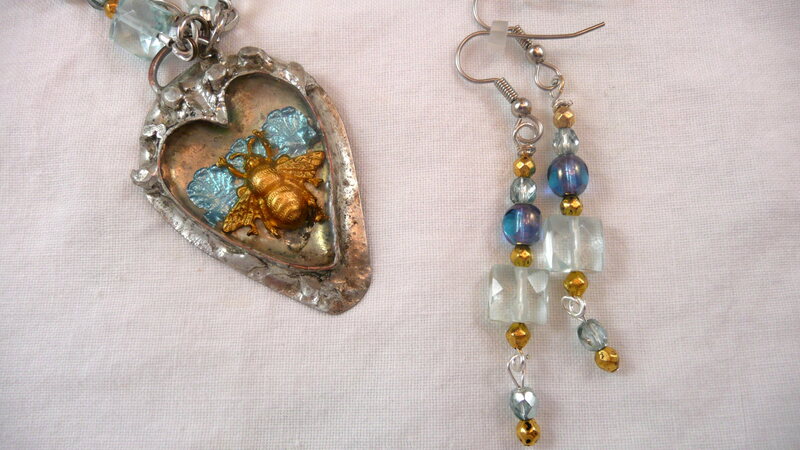 I have been working on some new pieces for my collection of jewelry. I just the metal and used a non lead solder to build this piece made out of copper, and brass. 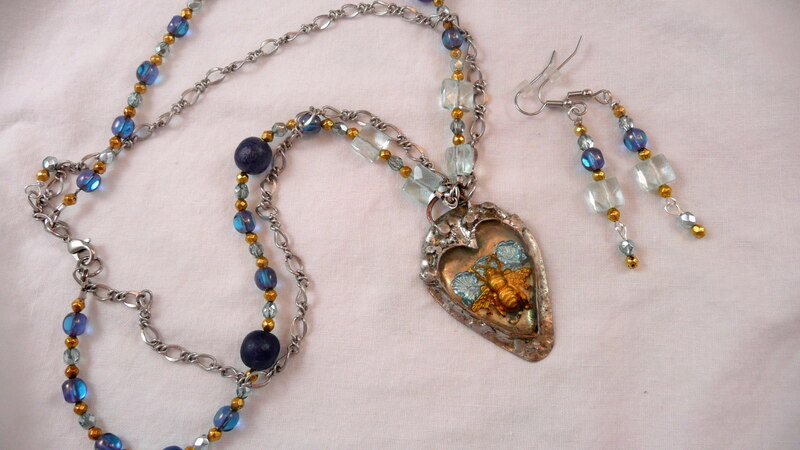 Some of the Beads used are Vintage blueberry beads. They are lovely and when you hold them in the light you can see speckles. The other beads are all Czech! There are some lovely spacers that are brass. I will be making a bracelet to go with to complete this collection! Love the new pieces Nike!! !